Gareth Emery and Standerwick’s highly-anticipated release of “Saving Light” has finally come! After months of teasers and even live performances of the track, it was finally released via Monstercat on January 30th. First dropping the single at EDC Las Vegas 2016, Gareth has had trance fans awaiting this moment for over six months. Speculation has gone on for some time regarding which label would obtain the single, which turned out to be the notable and diverse electronic label, Monstercat. “Saving Light” certainly has landed with a bang and has been welcomed with open arms. After hyping up the hard work behind the single as well as the deeper meaning behind it, Gareth and Standerwick delivered a major hit. The moving vocals of HALIENE glide over Emery & Standerwick’s carefully tried and tested ensemble. The music video for “Saving Light” features a heartbreaking and emotional story of bullying. This is more than just a moving track and video, however. 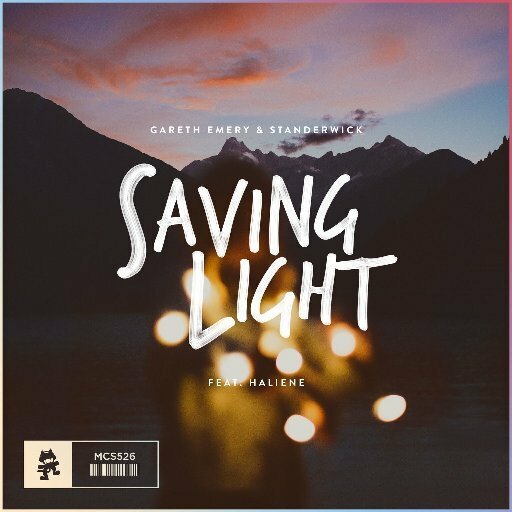 “Saving Light” is part of an anti-bullying campaign by ‘Ditch The Label.’ Starting with the release on January 30 and running through March 1, 100% of the profits from both artists as well as the label (from sales and streaming revenue) will be donated to ‘Ditch The Label.’ Monstercat will also hold their own donation drive to help out the campaign. Hitting the hearts of everyone involved, whether in the production and release of “Saving Light” or just those listening, the track holds major weight and is changing lives. It is so fantastic that world-renowned artists such as Gareth Emery and Standerwick are taking part in the bigger picture through their music, touching more lives than just those taking a listen. As bullying is relatable in one form or another to virtually everyone, this campaign truly serves a purpose in having the power to make lives better. One more example in existence of how much power music really holds, we are so proud of all of the work behind “Saving Light,” and all of the goodness to come. It has been very clear how much this song as well as the anti-bullying campaign means to both Gareth and Standerwick, and all of the positive feedback is just heartwarming. Gareth Emery’s philosophy that “A good melody can change the world” certainly has held true and has stuck by him in all of his wild success. 2016 was Gareth’s biggest year yet. The release of Gareth’s third artist album, 100 Reasons To Live and the follow-up remix album 1000 Reasons To Live catapulted him into everyone’s radar. With the album reaching #1 in 19 countries on the iTunes dance chart and #2 on the Billboard Dance Chart, Gareth has reached heights he has never seen before, and has become a certified dance music legend. Standerwick has exploded back onto the trance music scene in recent years as well. Standing on top with a list of No. 1 and Top Ten hits, he has encapsulated the attention of trance fans around the world, and built up a lot of momentum for the future. The trio came together so beautifully on this meaningful experience, and is nothing short of thrilled to share “Saving Light” with the world.